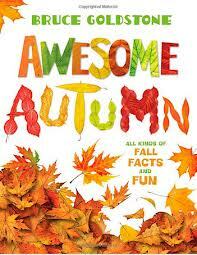 Back to School in the northern hemisphere means welcoming the signs of fall. The days are getting shorter, the leaves are changing colors, and we all get ready for colder weather. Yoga poses were first created thousands of years ago by modeling the natural environment. 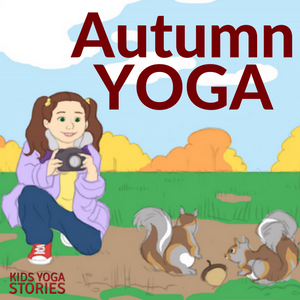 Autumn yoga is a great way to act out this story of changing seasons. This post has an Amazon affiliate link. (Stand tall in Mountain Pose, reach your arms up above your head, place your palms together, and gently lean to one side. Pretend to feel the raindrops from Fall showers, to pick pumpkins and to watch the bears prepare to sleep in their dens! Instantly download these 53 Fall Yoga digital yoga cards to learn through movement in your home, classroom, or studio. Includes an Index Card, Yoga Tips, Pose Instructions, 20 Yoga Pose Cards, and 20 matching Fall cards. 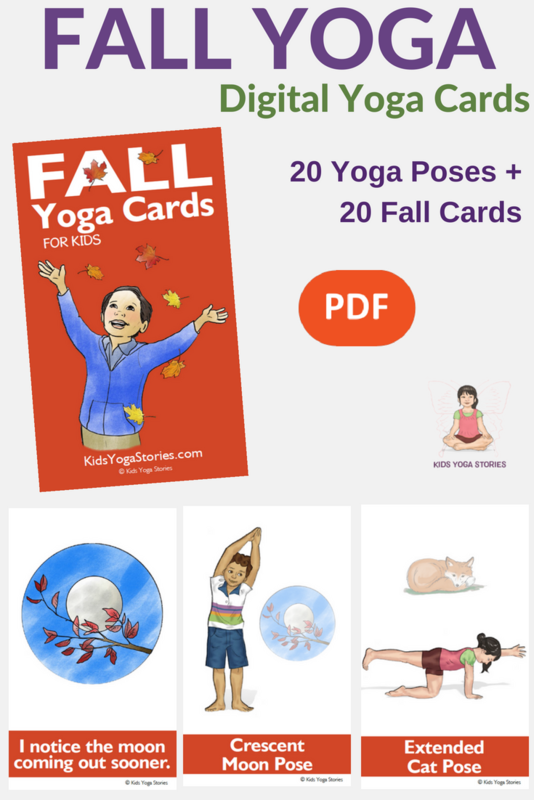 Purchase Fall Yoga Cards for Kids here. Act out what you see and do on a fall day trip! 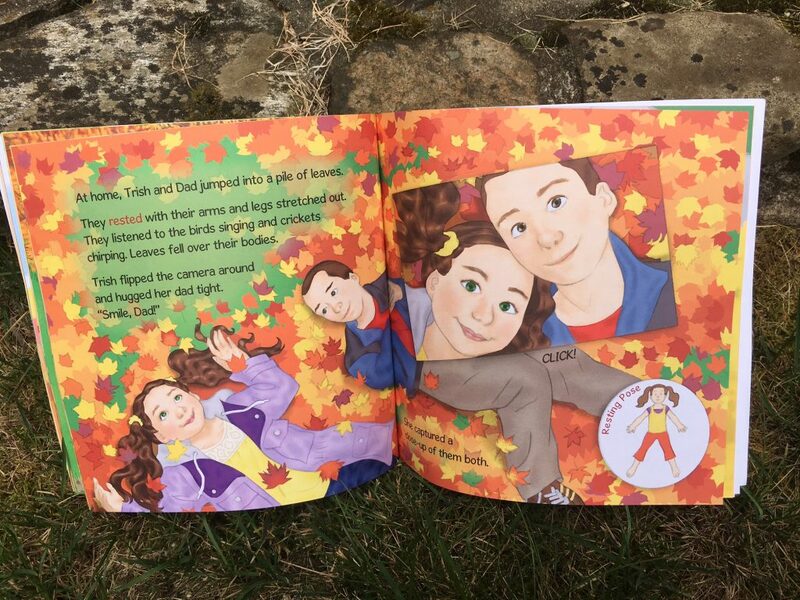 Join Trish and her dad as they spend a day taking pictures of fall for her school project. Be a tree, kite, and pumpkin. Discover fall, explore movement, and then do your own photography project! 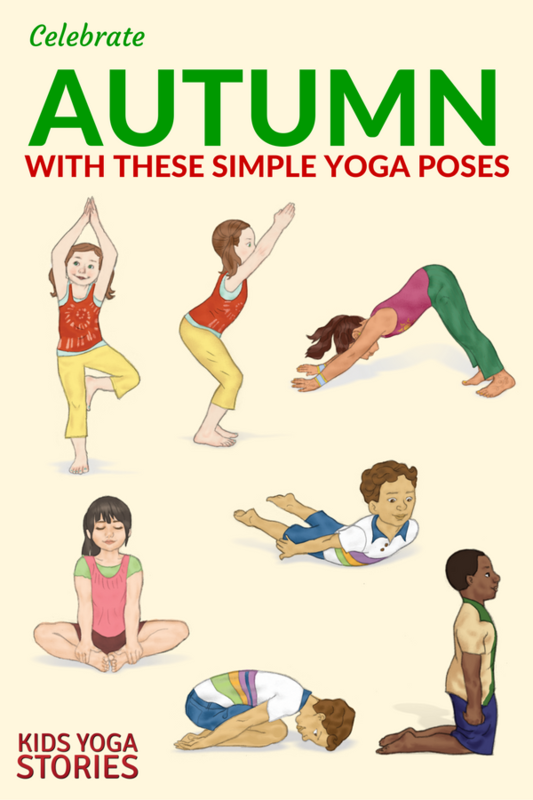 This fall yoga book includes a list of yoga poses for kids and a parent-teacher guide. Age group: Preschoolers, ages 3-5. What other Autumn-inspired yoga poses can you invent? We hope that you enjoyed this Autumn yoga sequence. 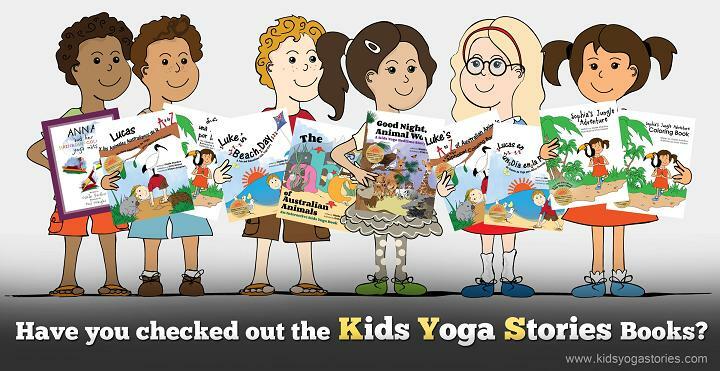 For more kids yoga sequences, sign up for our weekly Kids Yoga Stories Newsletter (add your name and email to the box at the top of the page! ).